BASIC – Non-permanent materials. Infiltration of lips and grooves (videotutoriales). ADVANCED – Semi-permanent materials. Autologous materials. Plasmagel. Growth factors (videotutoriales). BOTULINIC TOXIN – (doctors). 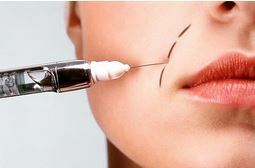 Medical and aesthetic use of botulinum toxin (videotutoriales). BASIC – Hyaluronic acid in lower facial third. Diagnosis and treatment protocols. (Practical). ADVANCED – Obtaining protocols and techniques of infiltration of plasmagel and growth factors. Use of semi-permanent materials. (Practical). BOTULINIC TOXIN – (doctors). Clinical, aesthetic and legal protocols of botulinum toxin. (Practical).